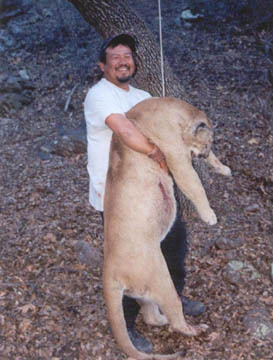 The four-paragraph brief by Gary Polakovic cursorily explains that two mountain lions whose territory included the Santa Susana mountains near Valencia died late last fall after apparently ingesting prey loaded with poisons that humans use to get rid of rodents. 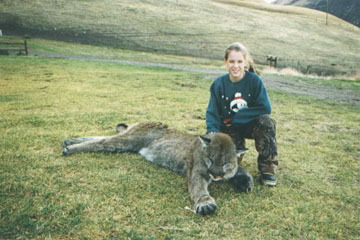 The article does not offer any distinction or direction as to whether officials think the poisonings were done intentionally or whether the big cats simply ingested the prey items that themselves consumed rodenticides that are reported to be used in schools, golf courses, and public parks. Given the esteem within which I hold all creatures great and small, I’m hoping it’s the latter. Praying even. I can’t fathom the heartless failures of humanity that would intentionally and so cowardly destroy such extraordinary beings. 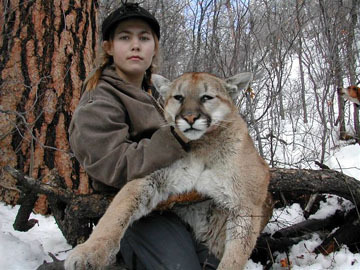 Of course, I went online to find a nice picture of a mountain lion — and there certainly were a lot from which to choose. 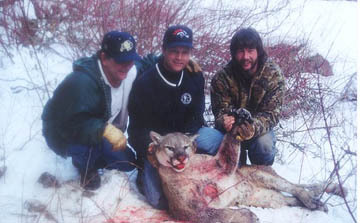 But the pages upon pages of displayed puma pix were also plentifully pocked with snaps of happy hunters proudly posing with dead versions of the top-shelf predators. And while I try not to begrudge anyone their pursuit of happiness, I will never comprehend the thrill to be found in taking a gun or a crossbow and/or some dogs and hunting down and killing anything for sport. Even greater is my confoundment after looking at some of those who do find so much pride and joy in so much destruction of so much beauty. 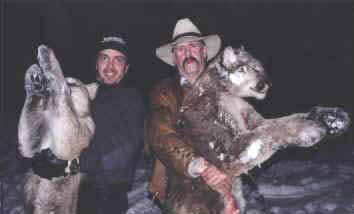 If the following display offends you, go ahead and kill the messenger if you’d like,. 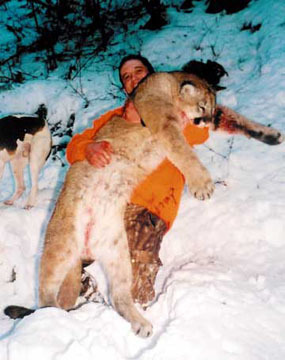 Just remember I’m not the one that pulled the triggers or loosed the arrows or set the dogs upon any of the 10 dead pumas I’ve pasted here — and there’s plenty more where these came from. 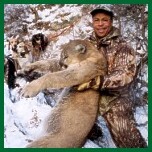 Just Google up “mountain lion” and see for yourself. 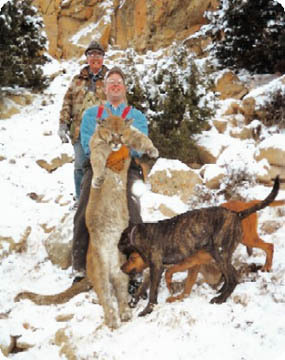 I’m sure proponents can provide strident arguments as to the importance of predator predation in helping maintain nature’s balance. And as emotionally wound up as I am I wouldn’t disagree with such an assertion. 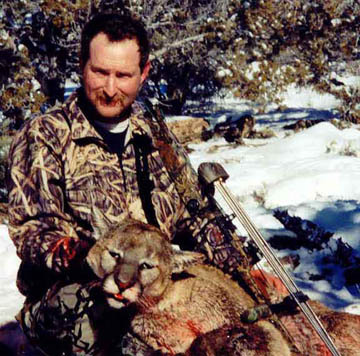 I recognize that a world with too many mountain lions can bring fates for them worse then those fired from a gun or a bow. Nevertheless, I say to the people pictured below: You are nothing. You are of even less dimension in life than you are in the photographs in which you appear. You have earned nothing with your violence. No pride. No glory. There is neither to be found in the thieving of life. To celebrate your deed as an achievement is a lie. You have proved nothing but that you have the coldness in your heart to bring death into the world and to applaud your ability to destroy. In the lifeless bodies you lift and shoulder and pose with and smile so vapidly over, you see a trophy whose head is to mount on a wall or whose paws can be turned into bookends on a shelf, or whose teeth and claws can be made into a necklace. You see a vanquished foe. I see a magnificent creature that even in death still has a greatness and nobility that you cannot steal despite your efforts. Perhaps later you will attempt to reduce the animal to nothing more than a tale that boasts of your ability to move about and search and aim and shoot. It is you who have been reduced. And in doing so you have reduced me. You have reduced mankind. You have trivialized life itself. Dismissed its importance. Turned the taking of it into entertainment. To you it is a weaker thing to let something so beatiful and agile and strong and free out of your gunsights so that it may continue to be. To me it is far weaker not to.